PLEASE NOTE: Many of our events are member-only events. If you are not a member and are unable to register for an event, it is likely a members-only event. Join us Tuesday, Apr 23 at 10 am for a hike along the Falls Branch trail located in Lake Catherine State park. The trail begins near the campground and winds through the pine/hardwood forest of the park, crossing Little Canyon Creek several times. It eventually leads to a seasonal scenic waterfall on Falls Creek and works its way back to the trail head. The trail is about 2 miles long and will take 1 1/2 to 2 hours to hike. Our hikes are easy to moderate, and our pace is casual. The park is south and east of Hot Springs, about an hour drive from the village. Turn left on Malvern and follow it to Carpenter Dam Rd. Turn right (south) and go about 2 miles south to 290. This road is about 1000 ft past the entrance to Garvan Gardens. Turn left (east) on 290 and follow it until it ends at highway 171. Turn left and follow this east past until you enter the park. Continue on this road and follow the signs to Camp area C and the Amphitheater. The trail head is just past the Amphitheater. Click on the link below for the map of the park. All Boomers members are welcome to come along! We do ask that you register so that we know who is coming and who we should notify if there is a weather delay. If there is a delay, you will receive an email by 7:30 am. This event is exclusive to Boomers Rock members and their guests on a “try before you buy” Basis. 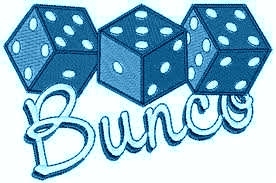 Molly O'Brien's, 8913 Park Ave.
Join us on the fourth Wednesday of every month for Bunco for Boomers! Cost is $5.00 per person cash, due at the door. There are 4 chances to win your money back! This is a new location. Our menu will consist of salad bar/pizza buffet. If you prefer something different, you can call ahead to Molly's and pre-order your meal off of the menu. No outside food or drink will be permitted. If you would like to play this month, please register. For more information, please contact Barbara Roberts at Brobertsargyle@yahoo.com. 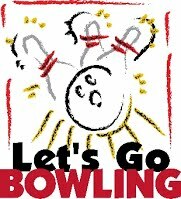 Join us on the last Friday of the month for Bowling for Boomers! This is a for-fun-only group. Teams will be formed onsite. Fun prizes for all level of bowlers. All Boomers Rock members are welcome to come! However, only bowlers are asked to register each month, so that we know how many lanes to reserve. This event is exclusive to Boomers Rock members, and their guests on a "try before you buy" basis. It's time to party with your fellow Boomers Rock Members! Mixin' (drinks that is), Minglin', & Munchin' - it just doesn't get any better than that! 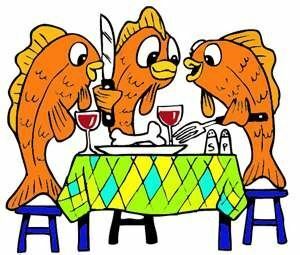 Meet up with your fellow Boomers for a fun evening with beverages and dinner as an option. This will be a great time to meet other Boomers or get to know some of your Boomer friends better. If you have friends that are interested in joining Boomers, bring them along as guests. We ask that you register yourself and your guests so that we have an idea of how many people to expect. Join us Tuesday, April 30th at 9 am for our hike on the Balboa Trail. Meet at the trail head located at the end of the Balboa beach parking lot. We will hike to the end, turn around, and hike back. Total for the Balboa trail is 2.1 miles. Maps to the trails can be found on the POA website. All Boomers members are welcome to come along! We do ask that you register so that we know who is coming and who we should notify if there is a weather delay. If there is you will receive an email by 7:30 am. Boomers Rock is happy to partner with the Beehive to provide this awesome event. Painting with a Twist painting sessions are fun art, not fine art. Gather with your Boomer friends to sip your favorite beverage and enjoy step-by-step instructions from experienced and enthusiastic local artists. It's a colorful, casual party atmosphere where you will create your one-of-a-kind painting. Come early and join your friends for lunch. Remember to wear your Boomers Rock name tag to receive a 10% discount on your lunch. Call the Beehive today at 501-777-8176 to reserve your spot. Cost is $40. The scramble will be held the 2nd Sunday of the month at one of the HSV courses and the format will be a four person, 18 hole scramble. There will be a fee of $5 for prizes: closest to the pin; and 1st, 2nd, 3rd place. Participants pay the $5 at the course and each person is responsible for the cost of their golf. Tee times begin at 1:00 PM and players are asked to check in at least 30 minutes before their tee times. Players are asked to submit their GHIN or what their typical score is for 18 holes. Teams will be chosen as fairly as possible based on their handicaps. Play will be a step aside format; meaning you can not use 2 consecutive shots by the same person. There is no step aside for putts. The maximum drives that can be used by one person is 6. No more than 2 putts per hole. If there are only 3 players on a team, a "Bubba" will fill out the foursome. "Bubba" will hit the fourth shot for the team on each hole, the entire hole, and the player "Bubba" will rotate among the three players. Each of the team's three players will be the "Bubba" on six holes each. All interested players must register on the Boomers Rock website. There is a maximum of 24 players. If a non playing guest is joining you for dinner, do not register them. Please mark them as joining you for dinner on your registration form. This is a social group so each month the teams will be rotated/shuffled so players won't be choosing partners. This will allow everyone the opportunity to get to know all the players. We will be meet in the Granada Grill after golf for food, drinks and prizes. Since Granada Grill requires us to have at least 24 persons, we will relocate our celebration to another location if we do not have 24 staying. If you are interested in joining the group or need more information, contact Jody Klem at klem1@swbell.net. If you need to cancel your tee time, please contact Jody and the golf course. She is controlling the teams and the tee times so she needs to know who is showing up to play. We have had a waitlist every time we have played. Please let us know as soon as possible if you can not make it so we can let someone take your place. This is for members only. Every player needs to be an active member of Boomers Rock. To be a part of this Small Group, edit your membership profile to include Boomer Golf under Small Group Participation. Join us for our monthly Wednesday night Disco celebration at the Beehive! Your Boomers Rock friends will be grooving to the Disco sounds. Your only cost is whatever you eat / drink off the menu. The Beehive has Digital Rockbot' so our disco music will last all evening. Come early, Serena will be instructing members on disco line dancing at 7:00. Remember to bring your name tag so you can enjoy culinary delights at a 10% discount. Wednesday is happy hour all day. Mark your calendar for a fabulous night of food, drink, music and gambling.